A. 3 Steps (the best!) Champions! C. Roll over-again switch legs by rolling toward straight leg side. 6. 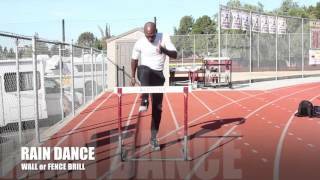 Drills (hurdles) (5)…. 5 is used so they don’t get tired! E. Set hurdles 4 strides apart. Work side first and then middle. 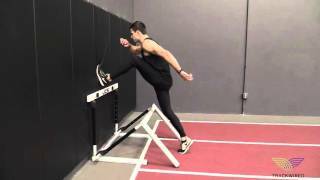 L. One hurdle-1-2-3 trail leg drag- step out/ Knee up! B. 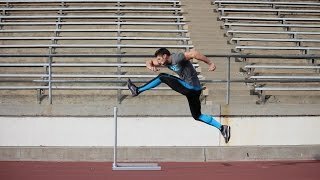 5 High Knee Steps over /with hurdles at the marks /over side and then middle. 2. Athletes will find this interesting and it helps them “focus”! 3. 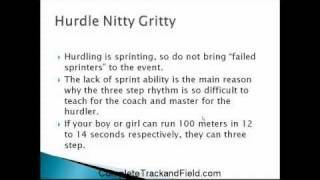 Off set hurdles/ so they run down the lane working their lead leg first and then their trail leg second. 4. 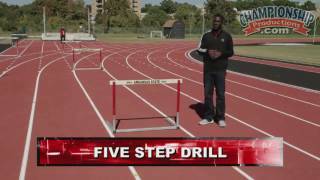 Over and back-set 5 hurdles in one direction and then 5 hurdles coming back to start. B. Lead leg back in blocks. K. Quick lead leg-Quick trail leg to the ground. 1. 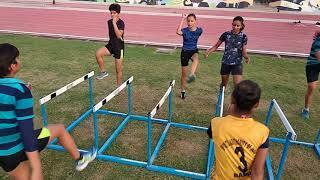 Your team will flourish with good hurdlers. 3. Hurdlers love to do drills. 10. 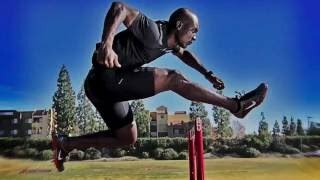 Coaches must watch hurdlers! Do not neglect your power athletes. 11. Early season-no timing- more repeats-late season stop watch time with fewer repeats. Quality! 12. 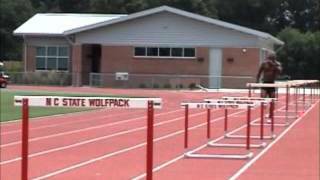 Special tip-when the wind blows (duh…in NM) turn hurdles-run with the wind at their back! 13. 2nd Special tip-Jump rope every day-fast-and your kids will get better. 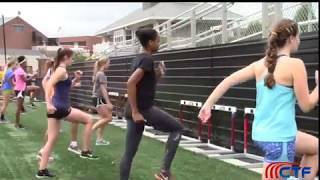 Hurdlers are made by hard work and repeats. Do drills 3-4 days a week. Modify and adjust each and every day. 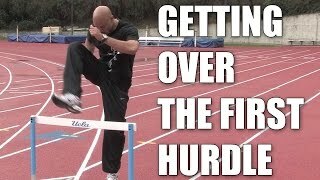 Watch your hurdlers and give them a break when they need it. Individualize as they are all different. I like to do 100 hurdles on Tuesday and 300 Hurdles on Thursday. On Friday-we do a bit of both .